The Chinese conglomerate Wanda on Saturday opened its first theme park, with its billionaire boss declaring war on Disney weeks before the American entertainment giant launches a similar attraction in Shanghai. “Wanda City”, in southeastern Nanchang, comprises a giant mall set over two square kilometres, as well as an 80-hectare theme park boasting “the highest and longest roller coaster and the highest drop tower in China”, according to a statement by the group. The project represents an investment of 22 billion yuan ($3.4 billion), the statement said. “We want to be a model… and highlight Chinese influence in the cultural domain,” Wanda founder Wang Jianlin said during an opening ceremony at the park as he referenced an “invasion” of foreign cultures, according to state television channel CCTV. A week before, Wang – China’s richest man, according to Forbes magazine – said he was setting his sights on Disney, which in June will open its first theme park on the mainland. “This craze for Mickey Mouse and Donald Duck is over, the period when we would blindly follow where Disney led has been gone for years,” he said during a long interview with CCTV. 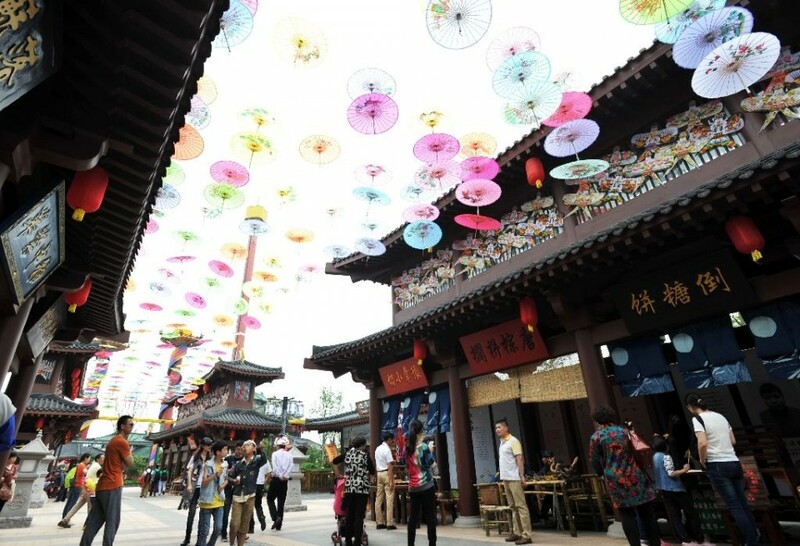 After the site in Nanchang, Wanda plans to open six more theme parks in China within three years and plans to have around 15 in the country by 2020. “We want to ensure that Disney will not be able to make a profit in this (theme park) sector in China for between 10 and 20 years,” he said. “A tiger cannot take on a pack of wolves,” he said during the same interview, in which he also accused Disney of “cloning past accomplishments without innovating”. But experts claim Wanda’s goals are ambitious, pointing to the group’s lack of experience in the market. Meanwhile Disney’s project in Shanghai – a 5.5-billion-dollar investment – will be its sixth theme park and its fourth outside the United States after Paris, Tokyo and Hong Kong. The American giant is hoping its popular franchises will appeal to a booming Chinese middle class, in a country where it has been generating an increasing share of its box office revenue. But Wanda is not entirely new to entertainment, having bought US cinema chain AMC Entertainment Holdings in 2012 and has also been branching out into film production, print media and art investment.